Left the Blue Lias pub at 1.00pm, after the auction. 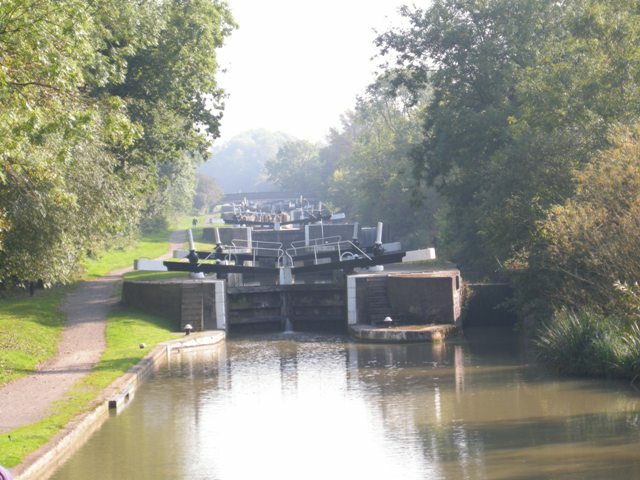 Managed to team up with a young couple on a hire boat, and with plenty of boats coming down the flight, made it up the eight locks in 48 mins. We carried onto the top of Marsdon Doles and moored up an hour or so into the windy Fenny stretch at 7pm. Early start the next morning and a smooth run back into Banbury onto our mooring on the arm. The sun stayed out until we had mored up, and then it began to rain gently, matching my mood. At the mooring, all seemed to be in order, and I noticed that the grass seed I sowed just before we left has come on well and we now have a lawn (thanks to Pete for mowing the grass over the summer). Need to get some tubs and winter pansies to brighten up the patio. And after doing a pile of washing, it is back to work until our next cruise. A long day cruising on Friday from Huddlesford near Fradley to the Blue Lias Pub at Stockton, arriving just in time for the 2008 Cut Web rally. 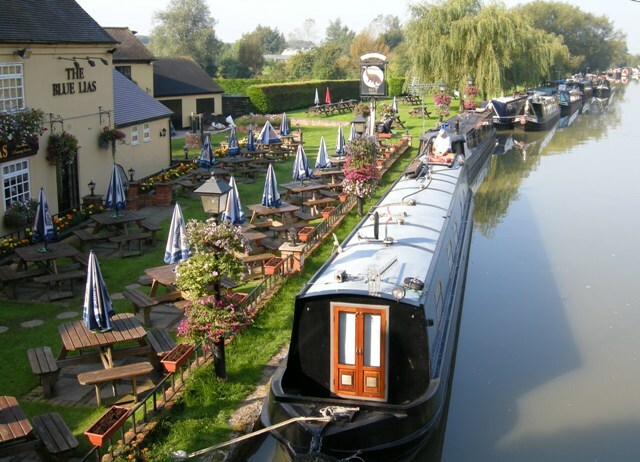 Thanks to Brenda, Graham and Roger, who worked us down the Stockton flight in a record 30 mins, and saw us to our mooring at the Blue Lias pub. The weather was glorious for the whole of the weekend, and gave a warm relaxed feel to the gathering. Brian, Graham and Dave had a programme of optional events lined up, but there was plenty of time for sitting around and getting to know new people. Some of the highlights were an exploration of the towpath (and local pubs) in the form of a treasure hunt, guided by Glen; fender throwing (which Paul and I won – very jammy); a buffet supper, folk band and not forgetting the “never-ending raffle”, on Saturday night. We managed to shift a lot of stuff in the Sunday morning auction, so thanks to those kind people who took our junk home with them. Paul really got into the swing and, unable to resist a bargain, brought back quite a bit of other people’s junk to our boat. Where we will put it all I don’t know! Yesterday we did Stone to Huddlesford. Lots of queues at locks, so was slow going in places. The hours that we are putting in each day mean that we are doing the miles, and first thing in the morning, last thing at night is when we make the most progress, with no other boats travelling. Still have to slow down for the moored boats though. Last night, we met up with Paul’s brother and his wife, David and Mandy, at the Plough in Huddlesford. David had very kindly brought our post and a spare fan belt for the boat engine. 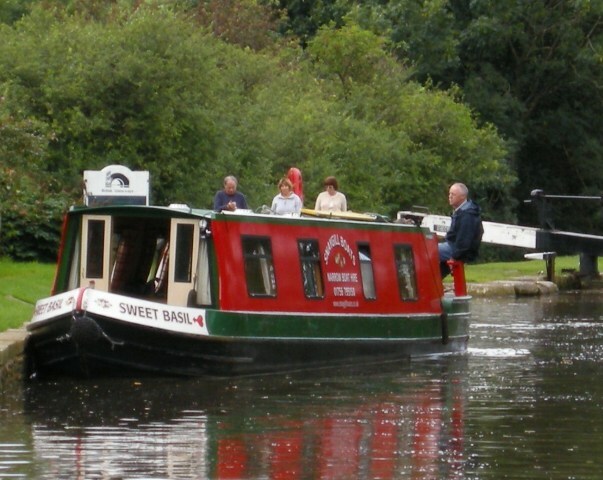 We had a wonderdul meal so wont be stopping at the Swan, Fradley Junction in future. This morning set off in brilliant sunshine for Atherstone Locks and made good time until the top lock. The engine lost power and Paul discovered a carpet wrapped round the prop. He managed to untangle it and we are now off to Hawkesbury Junc to meet up with Anne on Grey Heron this evening. Paul is at the helm steering the boat through the outskirts of Manchester, past Trafford Park and all the Sunday fishermen (havent spotted a fisherwoman yet, but you never know). I am “down below” finally feeling a bit more like it after a week on antibiaotics for a skin infection, which is getting to be a bit of a habit at this time of the year. We set off from Skipton on Thursday 11 Sept towards Wigan and Manchester, having been beaten back by the floods in Leeds. If we can do it we are trying to get to a boat rally near Braunston for the 19th, which is a bit of a tall order as its about 120 miles, loads of locks and about 12 hours cruising a day. However we do like a challenge, so watch this space! If anyone would like to place a bet on whether we get there or not let me know. OK highlights and event of the trip so far. Met up with a really nice couple on their first boating holiday. Bumped into them twice. Once at the White Lion in Kildwick with my Aunt Marje and Uncle Pat. Then at Gargrave, where we shared the Bank Newton flight of locks with them. 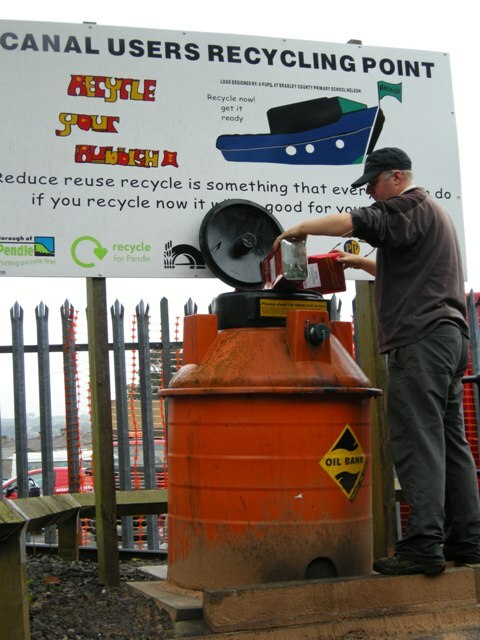 Paul found the boater recycling point on the way through Blackburn (I think) and managed to get rid of 6 cans of dirty engine oil. 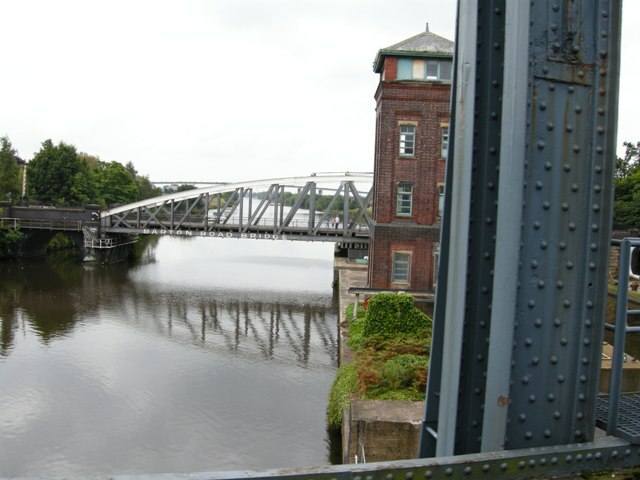 We travel across the swing bridge which goes over the Manchester Ship canal. Lovely sunshine and views. Jet has suddenly developed a very fat tummy. He is so fat he looks as though he is having puppies. Took him to the vet yesterday and he is staying in for tests. 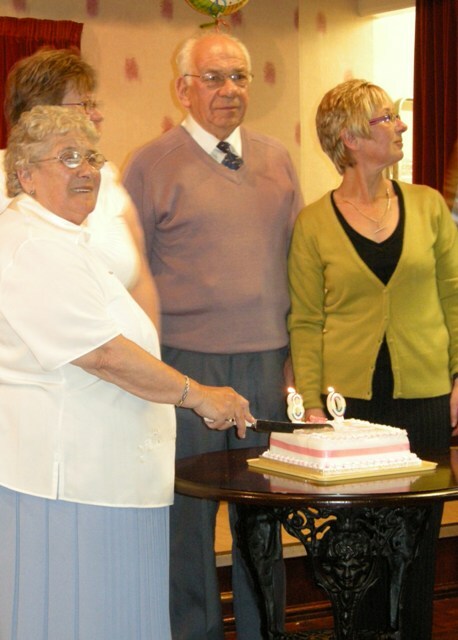 My cousin Nicky picked Paul and I off the boat at Kildwick and we travelled together up to Skipton for Nora’s party. All my dad’s brothers and sisters (apart from Uncle Peter in US and those sadly no longer with us) were there. And we had a great time, though it had been touch and go whether Edith and Richard would manage to get up to Settle – for different reasons! Edith had travelled from Milton Keynes. She left in a car with a friend at 6 in the morning, but by late morning the weather was so horrendous that there was no way the car would get there in time, so she was dropped off at a station in Birmingham. Marje and Pat picked her up from Leeds railway station and they arrived around 3. Edith had to catch a train up to Carlilse at 3.45 so it was a short visit, but great to see her. Uncle Richard hasn’t been well, but he was having a good day so he and Elsie managed to drive up from Skipton to Settle. He was on good form as with a cheeky grin he managed to wind Edith up and get her new phone number. Uncle Barry was also full of laughs and tales and entertained Nicky and I on our walk with Edith to Settle station to catch her train. Thoughtful as ever, Uncle John had managed to persuade a nieghbour to bring a copy of a book written by a Mr Harrison about the Lunds of Gisburn Forest. It is an addition to the main text “The Harrisons of Gisburn Forest”, a copy of which is in Settle Library. These two family names are closely linked with the Woolers and we managed to extract the relevant information from the book to help with the family history research. After a sumptuous afternoon tea and cutting of the cake, the party broke up. Nicky had to get back for her children, so Aunt Marje and Uncle Pat came back to the boat for a cuppa, and then joined us for dinner at the White Lion. Paul and I really had a great time and enjoyed seeing the “Woolers” all together. We set off yesterday for Bingley, on the way to Leeds, and had a nice cruise in the sunshine. What a chage today though. I spoke to Barry on the “5 Rise” this morning to be told that the flood gates in Leeds were shut and with more than 2 inches of rain forecast for today they aren’t likely to be open again until Monday or Tuesday next week. This means we cant get down for Alt-C in time. Also this will hold us up for getting to Keadby in time to make the tides for travelling up the Trent. So plan B – back to Skipton and “over the top” home to Banbury. This will mean we probably won’t make the gig with Cut Web, as it is 111 hours to be done in 8 days. Thats about 13 hours a day solid, and in this weather? I dont think so. Both Paul and I are really disappointed. Paul says we are going to give Yorkshire a miss next year – by boat anyway! And to all my Aunts and Uncles and Cousins, thank you very much for everything It has been really great catching up with you all and meeting the new additions to the family. Congratulations to all the clever young people who got such fantastic exam results. There are definitely some brain-boxes in the family, and although I think there is something in the genes, I am sure all the hard work and study was a major contribution. Well done. A big thank you to Nicky for taking us around to see everyone. And thanks for a great night out with the girls for your birthday celebrations. Thanks to all who had us to stay, who fed us and spent time with us talking about the family history. Paul and I had a great time, you all made us feel so welcome. It has been wonderful to be able to meet you and to get to know you a little better. 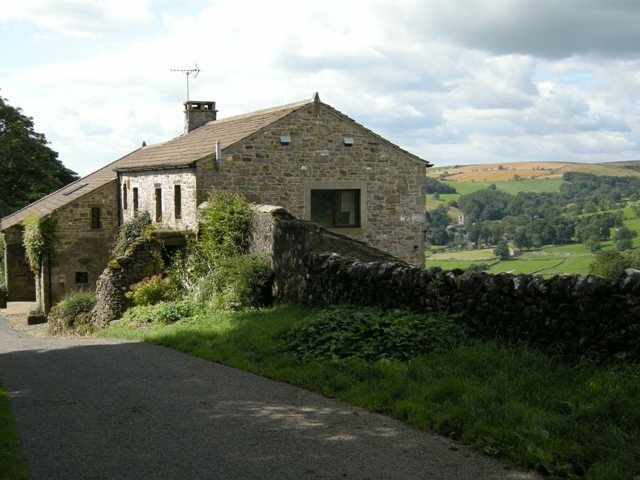 Here is a photo of “Windy Pike Farm” where Richard Henry Wooler snr farmed with his wife Lizzie Furnish Webster before he retired to Airton and where his children Stephen, Richard, Ethel and Thomas lived in the first years of their lives. 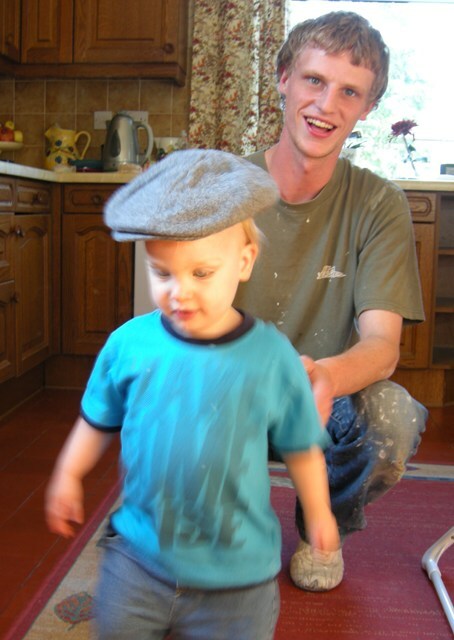 You are currently browsing the Daniel Oakley blog archives for September, 2008.